While researching my maternal 4th great grandmother Ann Davis for a 52 Ancestors in 52 Weeks post last year, I came across a Revolutionary War pension record for her husband, my 4th great grandfather John Devane, Jr. I not only learned from these records where he served and what he did but that he was held prisoner for a short while by the British. John and his brother James were living in New Hanover County, North Carolina, when they enlisted as minutemen in November 1775. John was almost 20 years old, and James was 18. They both served six months in a company commanded by their father John Devane, Sr. that was attached to a regiment under the command of Col. Lillington. While serving this tour, they marched from Black River Chapel to Wilmington. 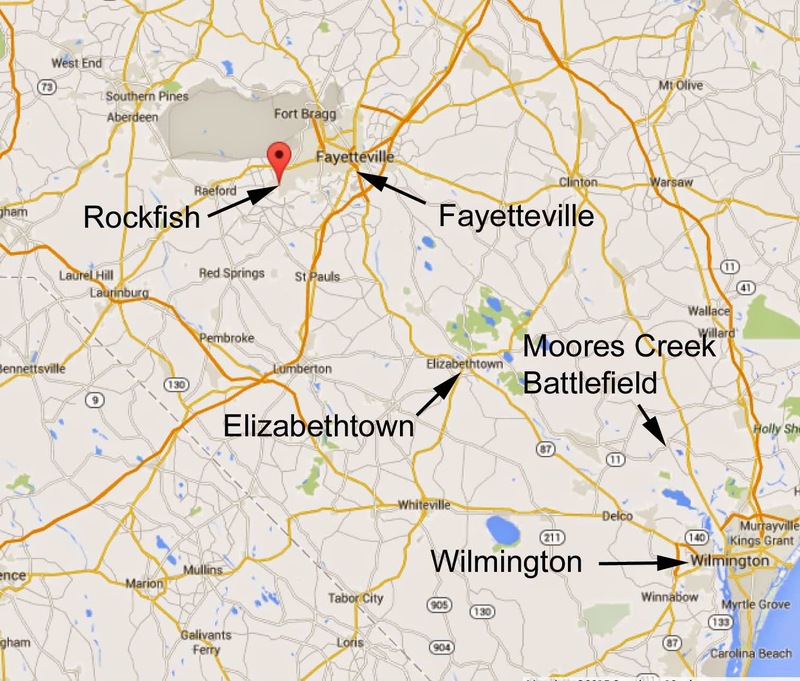 From there they went northwest to Rockfish west of Fayetteville (then called Cross Creek) in Cumberland County. They then marched back south to Elizabethtown in Bladen County and boated down the Cape Fear River until they reached the Black River. They went up the Black River to its junction with Bear Branch where they disembarked and marched to Long Creek bridge. They were ordered to Moores Creek bridge and then to Corbett’s ferry. 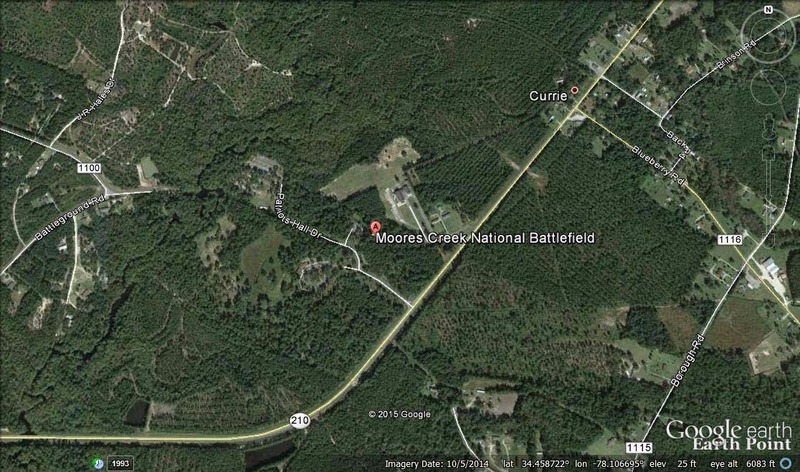 They got as far as Colvins Creek and were ordered back to Moores Creek bridge where the battle took place against the British on February 27, 1776. John was part of a reconnoitering party during the battle. After a few days’ furlough, the regiment marched to Wilmington and patrolled up and down the Cape Fear River in the vicinity of Wilmington until the end of their six-month tour. John and James were discharged in June 1776. 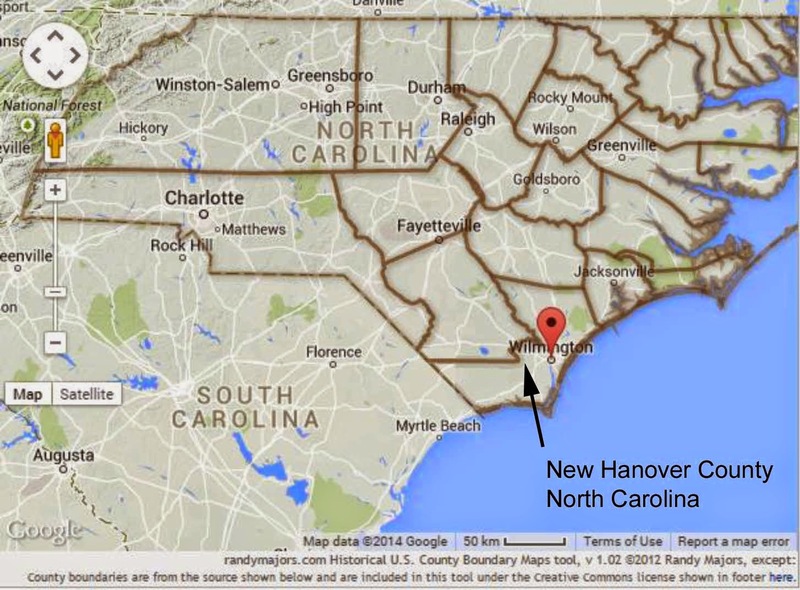 Shortly after, they joined up again in New Hanover under Captain Thomas Devane (probably their uncle). They marched to Wilmington and stayed until they were discharged after serving one month in the Fall of 1776. John entered the service again the following year in the Fall of 1777 as a 1st Lieutenant with a company under the command of Captain Ellis stationed at Fort Johnston. As part of his duties, he was sometimes sent out to obtain additional troops. He had served at the fort for three years when he was taken prisoner by the British in July 1780. 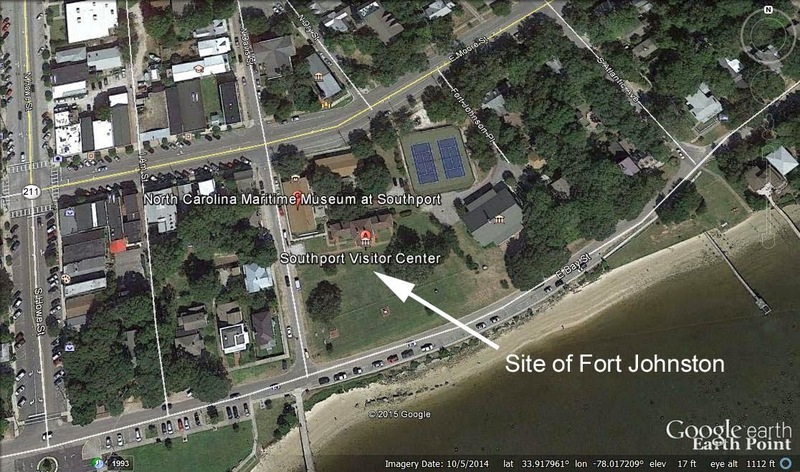 A British ship had arrived outside of Fort Johnston disguised as an American ship—it was flying the American flag. The commander came on shore and had dinner at the fort. He invited John to go back to his ship with him. Once on board, John realized his mistake. The British took his commission (a document signed by the governor stating his rank) and the cockade from his hat. They let him go after a few days and sent him back to shore. He made his way to Wilmington but was turned away. John contracted small pox while on the ship, so fearing it would spread among them, the people of Wilmington wouldn’t let him stay in town. James Devane testified that John was sent to Halfway Bluff on Long Creek. Francis Davis said that John was sent to Oak Island. John’s father had a slave named Frank go to him to nurse him back to health. He recovered a short time later and returned home. After the war ended, John married Ann Davis in 1785, and by the 1790 census, they were living in Bladen County, North Carolina. They had seven children. John died of a fever in Wilmington in June 1802, six months before his 47th birthday. Piecing together John's military service during the American Revolution was eye opening. Instead of just a name in my family tree, John Devane became a young, flesh and blood soldier fighting for American Independence against the British. "Case Files of Pension and Bounty-Land Warrant Applications Based on Revolutionary War Service, compiled ca. 1800 - ca. 1912, documenting the period ca. 1775 - ca. 1900," digital images, fold3.com (http://www.fold3.com), entry for John Devane and Ann Julan Devane, Pension Number W3961. "Case Files of Pension and Bounty-Land Warrant Applications Based on Revolutionary War Service, compiled ca. 1800 - ca. 1912, documenting the period ca. 1775 - ca. 1900," digital images, fold3.com (http://www.fold3.com), entry for Francis Davis, Pension Number S8290. "Case Files of Pension and Bounty-Land Warrant Applications Based on Revolutionary War Service, compiled ca. 1800 - ca. 1912, documenting the period ca. 1775 - ca. 1900," digital images, fold3.com (http://www.fold3.com), entry for James Devane, Pension Number S8317.